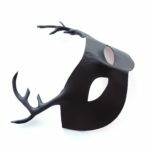 Handcrafted genuine Leather mask, made by us and painted brown. Each piece is hand-cut from veg tan leather, wet shaped to give it form then sealed to help protect from water damage with a leather wax. 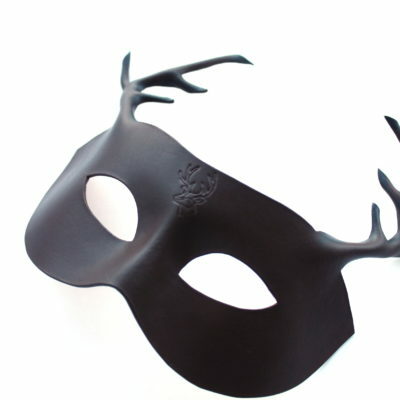 The mask features an imprinted stag’s head at the top and we have hand shaped antlers. Each mask may vary due to being handmade. 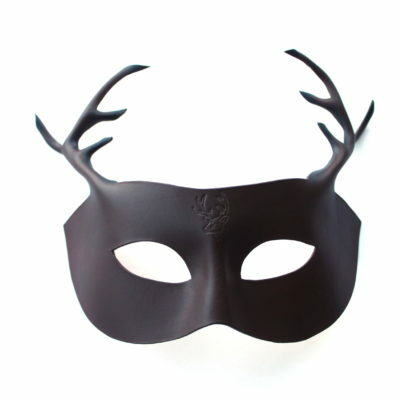 Also available in black as standard as well as a larger horned version. Other colours on request as a custom order. Lovely mask and as per photo. 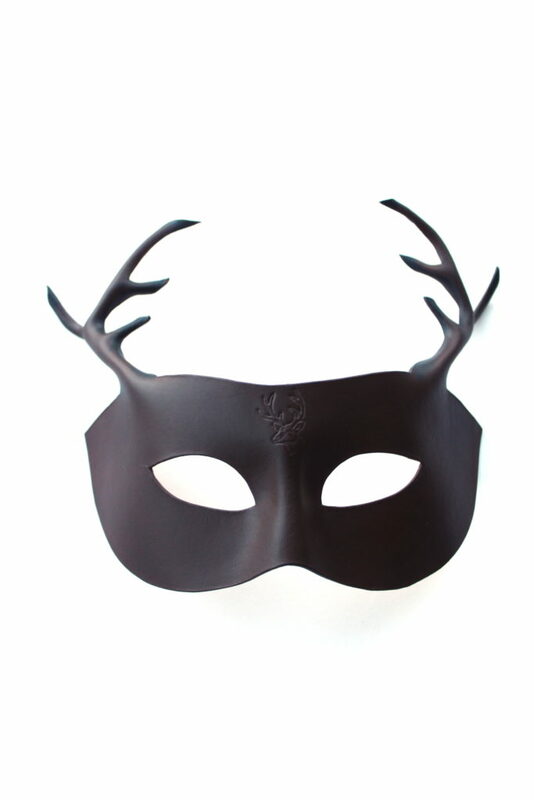 Nicely made and quality leather. Happy customer…good company and great product. I ordered a custom made black version of this mask and am so glad with the whole experience! 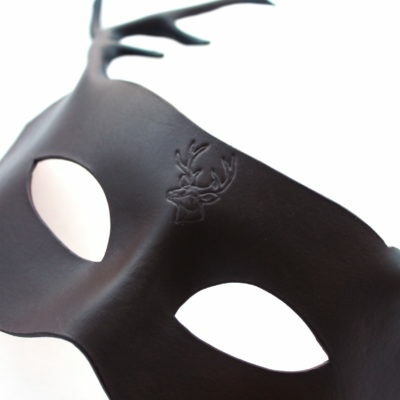 Communication, postage and quality are all exceptional – would recommend 110%!